Understanding how to shingle a roof isn't rocket science; laying asphalt shingles is actually pretty simple and straightforward. There are a few tips that will help the work, however, as well as a few places that are of more importance than others. Safety is a primary concern. You will be working high in the air even on a one story building and a two story home is much higher. Falls are the number one cause of accidents and a fall from a twenty foot roof will certainly result in severe injuries and can be deadly. If your roof is abnormally steep, difficult to reach or for some other reason unusually dangerous you are probably better off hiring a professional to do the work. If not, however, some basic caution can go a long ways. Work with a partner if possible. Never, ever, walk backwards - the edge always seems to be just a step away when you do that. An eight foot stepladder was all that was necessary to get onto the roof used for the photos in this article, but that is rare; make sure that ladders are properly set, tall enough to project well above the roof and preferably tied off so they can't fall. Never climb a ladder with arms full of tools or materials; use a rope and a bucket or other means to get things to the roof. 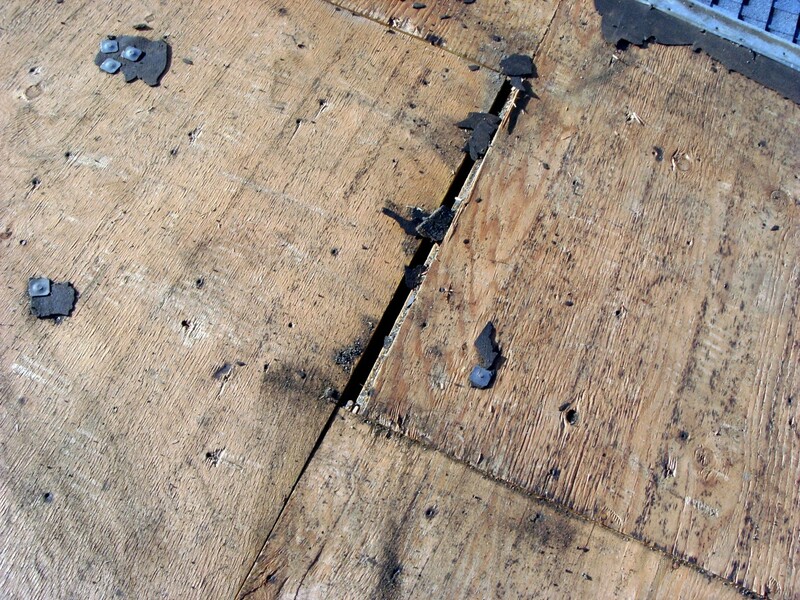 Walk with care; it is not unusual for a roof to have a rotted section or just a poorly nailed area that can give way. 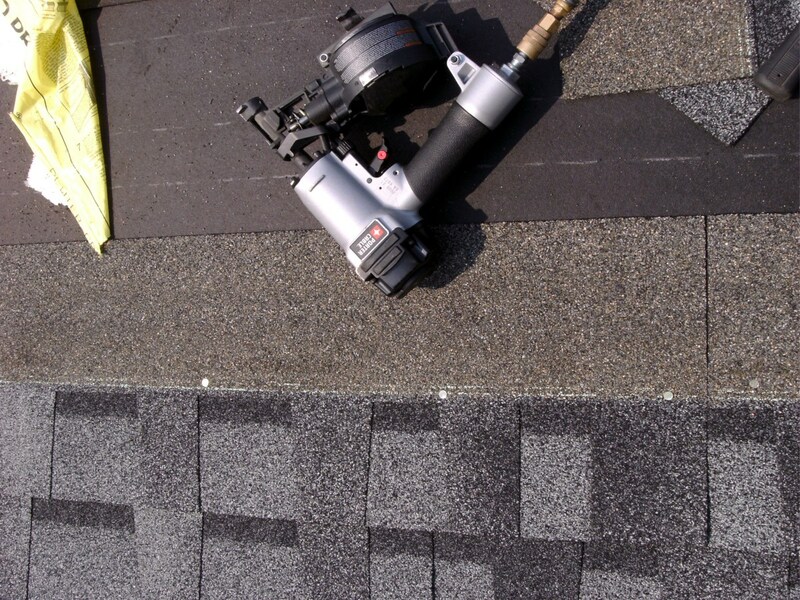 With a little commonsense and a good deal of care there is no real reason that a homeowner can't roof their own house, so lets look at what it requires and how to properly install asphalt shingles over an entire roof. If your roof needs only a small repair job where a few shingles need replaced, a different article has that information as well. Shingle shovels are quite easy to use. Simply jam the shovel under existing shingles and push the handle down. 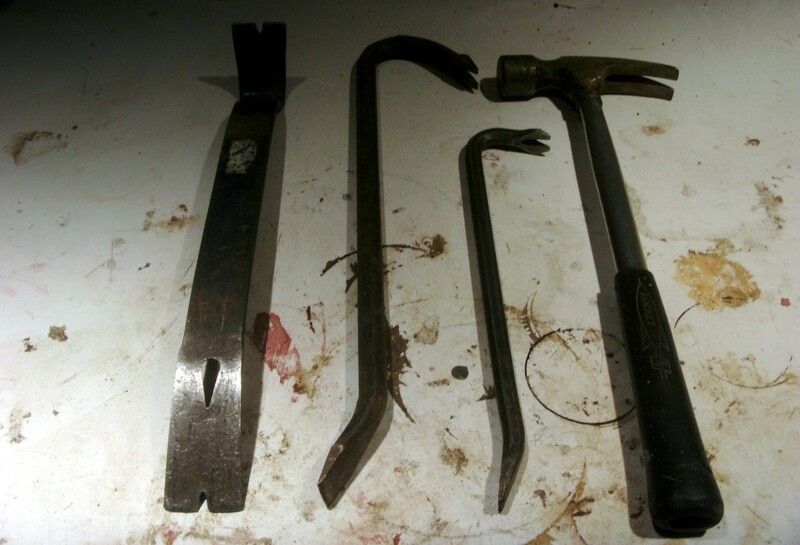 The shovel end has teeth to grab the nails, and when the handle is lowered it raises the other end, pulling the nails and raising the shingle. Far easier than pulling individual nails with a hammer and crowbar, it is well worth the price. Cleaning half the roof of this oversized garage took little more than an hour; without the shovel it would have been an all day job. Even the simple garage shown here needed nearly a ton of shingles loaded onto the truck, carried to the job and packed up a ladder and onto the roof. 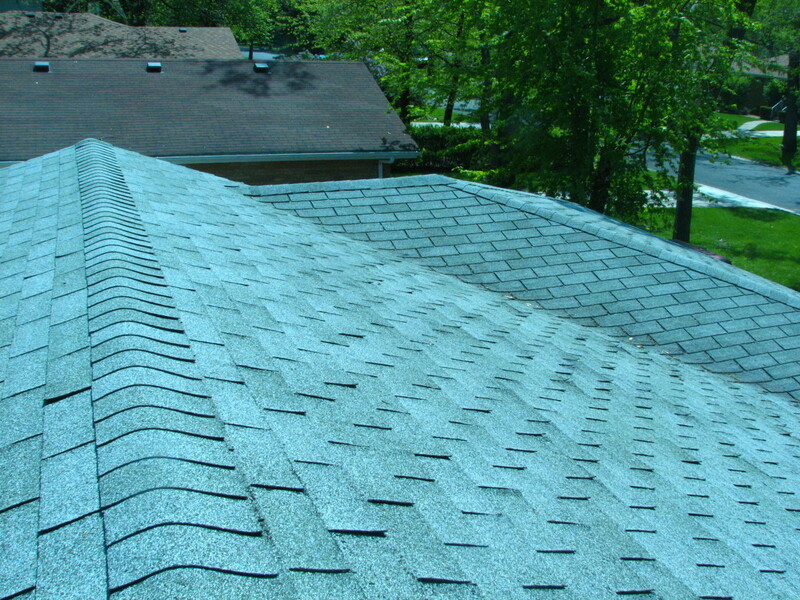 Most shingle retailers will, for a price, deliver the shingles not only to your home, but placed on the roof as well. 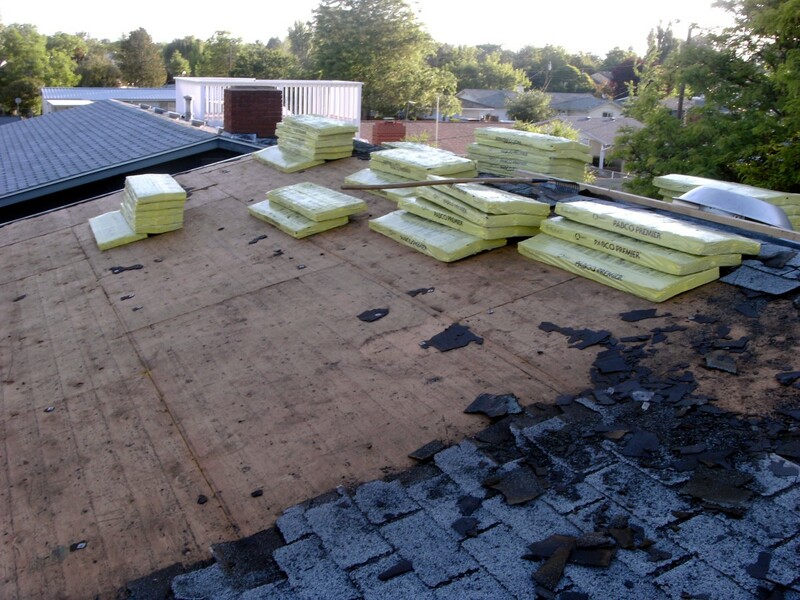 It is well worth almost any price to have those heavy packages of shingles, at around 60# per bundle, delivered to your roof rather than packing them up yourself. Something to consider when you buy. In most cases installing shingles will mean a considerable amount of preparation. The roof probably already has one or two layers that may need removed. Rotted sheathing may need to be replaced and new felt may be needed. If your current roof has a single layer of shingles that are still in reasonable condition the new shingles may be laid right over them, but if there are already two layers or if the existing shingles are in poor condition removing the old shingles will be necessary. Note that there will already be two layers showing at the very edge of the roof when there is only one layer; the first layer is only a starter run placed only at the edge. If there are three or more layers at the edge it will mean the entire roof has at least two layers. 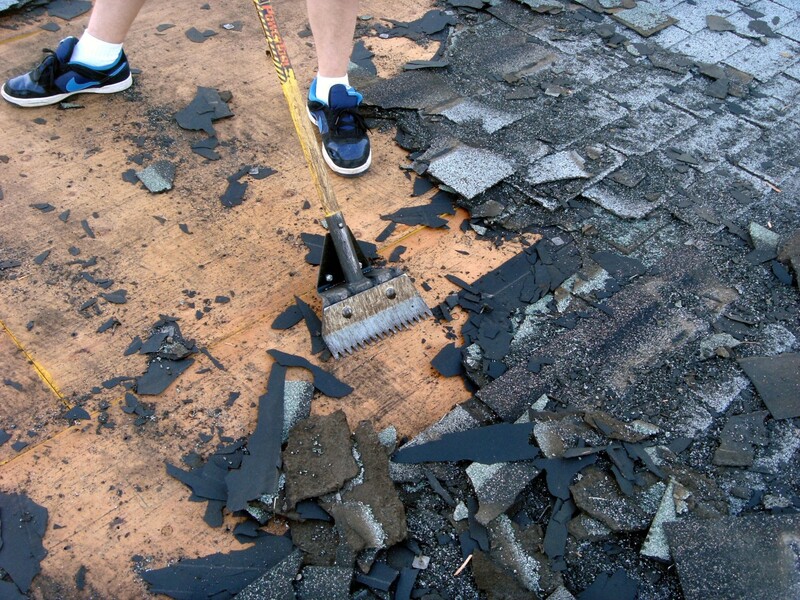 Shingles are best removed with a special tool, a shingle removal shovel. These are not particularly expensive and are highly recommended as they will cut the time and effort necessary by a huge amount. 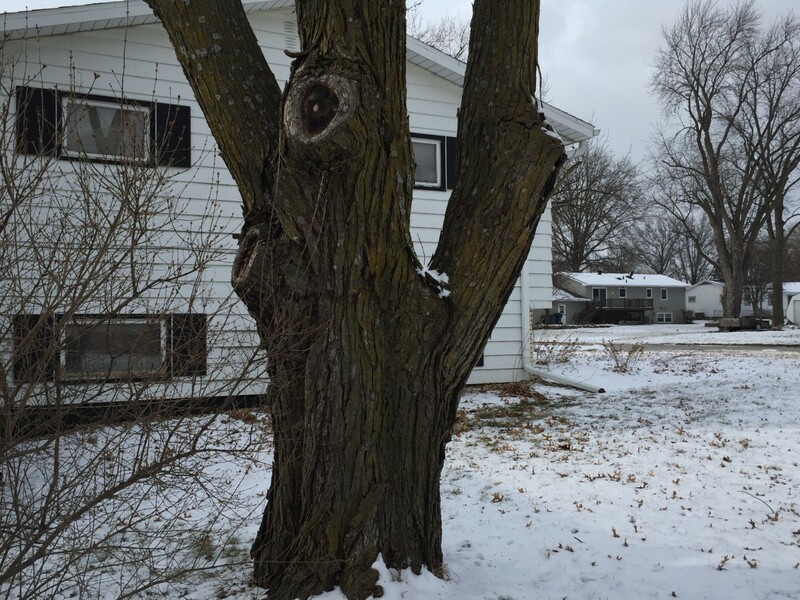 Shingles, and the nails holding them, can be removed with a hammer and prybar, but this special shovel will make the work of removing shingles much easier and cut the time required by ¾. With all the old shingles removed, remove or at least hammer in any nails left (and there will always be a few). 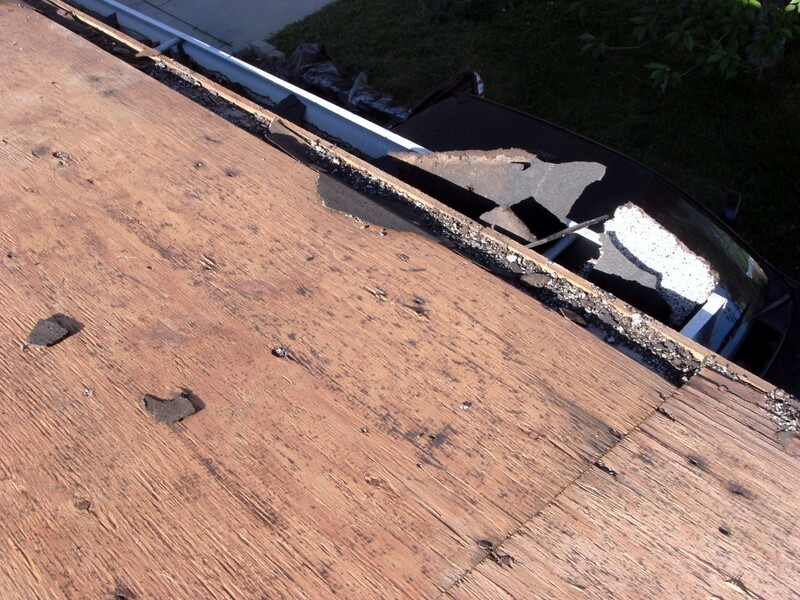 If the existing felt, or roofing tar paper, has been badly damaged it needs to be removed as well. Small, six inch torn areas are not of particular concern, but areas of a foot or more are. If there are just a few damaged areas they can be covered with additional felt, but if there are quite a few it is better to just remove it all and replace it. 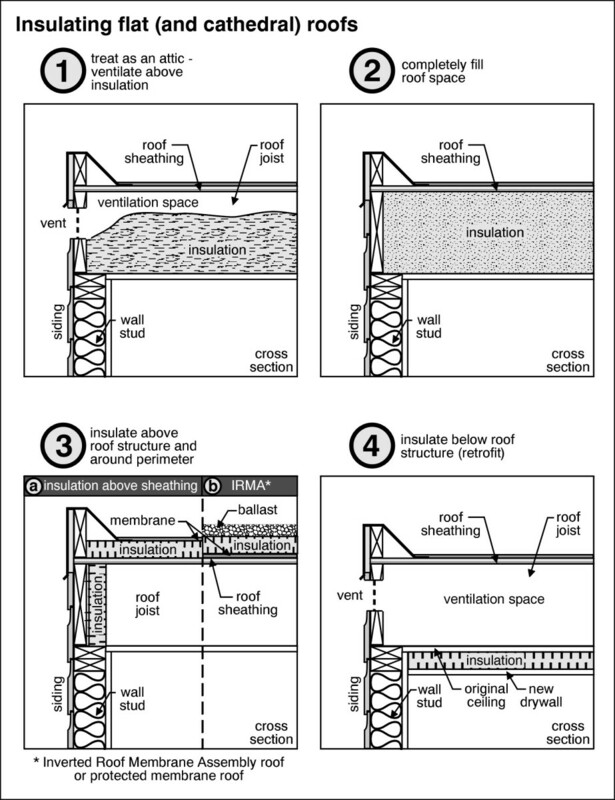 Check the existing wood sheathing for soft spots and repair or replace them as necessary. The roof in the example had just one such area; a 1X2 foot piece that had never been nailed properly and simply needed to be re-nailed. Take a look at the drip edge (a short piece of metal flashing extending out from the edge of the roof) and replace as necessary. The drip edge is intended to keep water from constantly dripping down the fascia and if bent a little can simply be straightened. It is rare to find it so damaged that it needs replacement, but if it does go ahead and replace it. With all defects repaired lay down new felt if necessary. Starting at the bottom of the roof, lay a strip clear across to the other side. Pay careful attention that it is straight with the edge; most felt has lines drawn on it that can be used to line up the new shingles if the felt is installed absolutely straight. 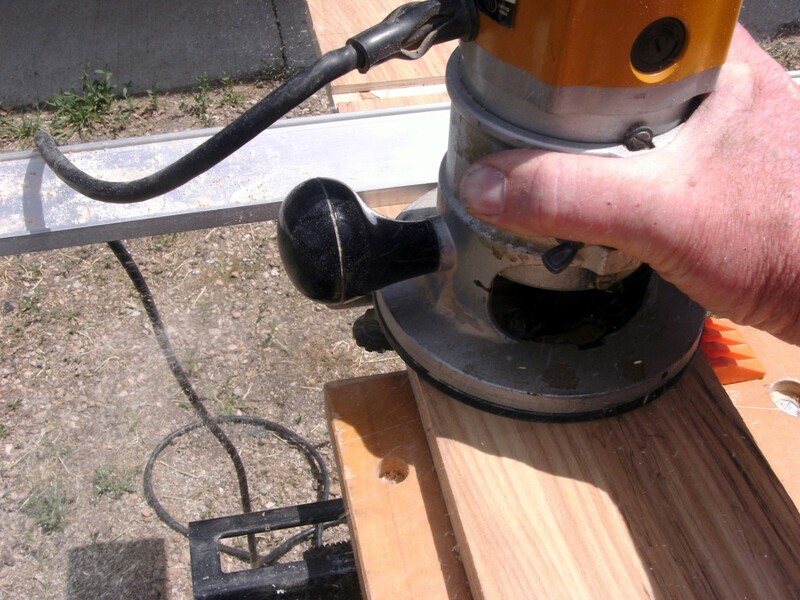 Most often felt is fastened with a simple heavy duty staple gun; staple every foot or so. Overlap the second piece about an inch and lay additional rows until the peak of the house is reached. Again, it is a good idea to snap a chalk line across the roof to make sure the felt is installed absolutely straight with the edge of the roof. If there is no ridge vent, leave the top piece extending over the far side of the ridge, where it can be folded down and stapled on top of the last piece to be installed on the other side. With the prep work done, it is time to begin actually laying the shingles. Begin once more at the far left (or right - it makes no difference) of the roof but with only a partial shingle. Cut the shingle about 2/3's of full width, with the cut edge to the left (if you have started the row at the left of the roof). Save the 1/3 cut off for possible use at the other end of the row. This time, extend the shingle about ¼" past the drip edge, line it up square with the bottom of the roof and nail with 4 nails spaced fairly evenly across the shingle. Nails should be driven just above the center of the shingle, at about the tar line - the nail will penetrate not only the shingle you are placing but the one underneath as well. Some shingles have a mark at the proper height for nails. Continue across the roof, butting each shingle to the one before it. This completes the first two, special, rows. Each additional row will be placed with the bottom of the new shingle just covering the slots in the one already nailed. Each additional row also needs shifted to the side in order that all shingle edges do not line up - you will alternate between using 1/3, 2/3 and a full shingle. The cuts do not need to be at exactly 1/3 or 2/3 of a full shingle; vary them somewhat for a more pleasing appearance and cut them so that the slots between tabs will not line up, particularly when working with architectural shingles. Nail each shingle with 4 nails in the same manner that the first full height shingle was nailed. Valleys and ridges will require special treatment and are covered in the next sections. A pneumatic nail gun with an air compressor is very nice, but not absolutely necessary. The garage shown in the photos needed some 4,000 nails and while that is a lot of hammering, it can be done. Both nail guns and compressors can be rented or perhaps you already own one or the other, but if not maybe it's time to buy that shop air compressor you've been wanting. Box cutter blades don't last long cutting shingles; make sure you have plenty of these on hand as well. Valleys are areas on a roof where two different roof lines come together, forming a valley where water will run down. As such, it is extra important that they are completely watertight because there can be a virtual river running down a valley if the roof line is a good deal higher on both sides. It is a good idea to lay a self adhesive ice and water shield over valleys before continuing but not absolutely necessary. While valleys can be covered with either the open and woven methods, only the open method will be covered here. While woven valleys look better, in my opinion, they are not appropriate for the architectural style of shingles most people prefer. To make an open valley, shingle the side of the valley with the lowest peak first, extending each shingle well past the valley. Make sure there are no joints where two shingles come together near the center of the valley; keep such joints at least 6 inches away from the center. Continue installing shingles on that side until the entire valley is covered with shingles, all extending past the valley. Snap a chalk line down the valley, about two inches off center towards the shingled side. The other side may now be shingled, making sure to extend each shingle past the chalk line. 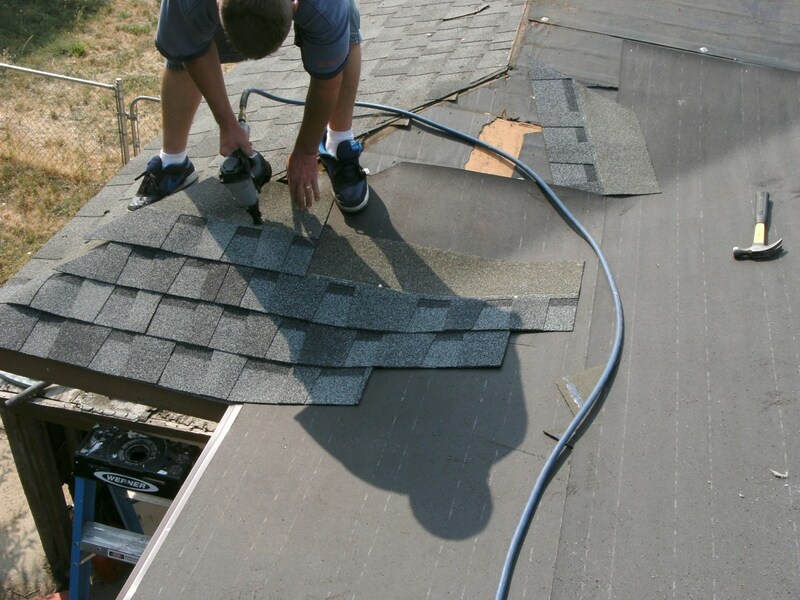 As individual shingles are installed, they can be cut down the chalk line, finishing the valley and leaving one side a cut line of shingles down the valley. Ridges are much easier to cover than valleys. 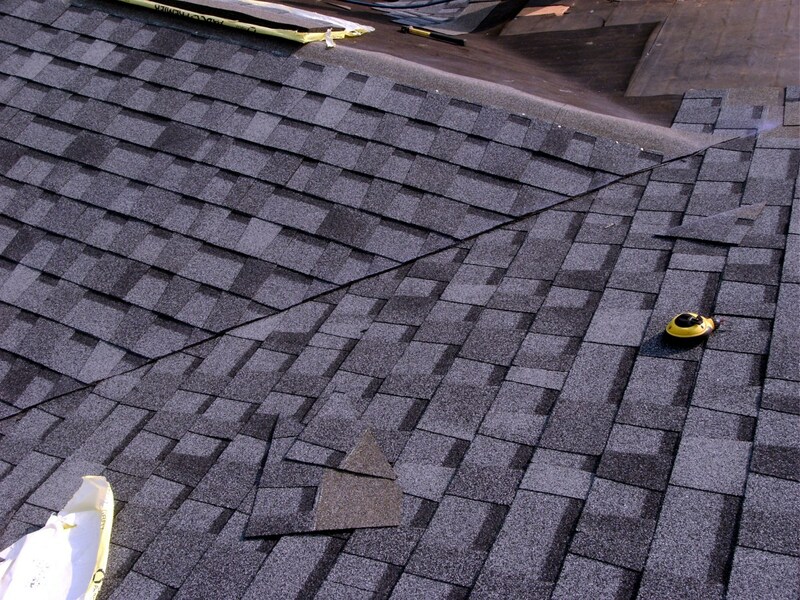 You will need either a 3-tab shingle or special ridge shingles. 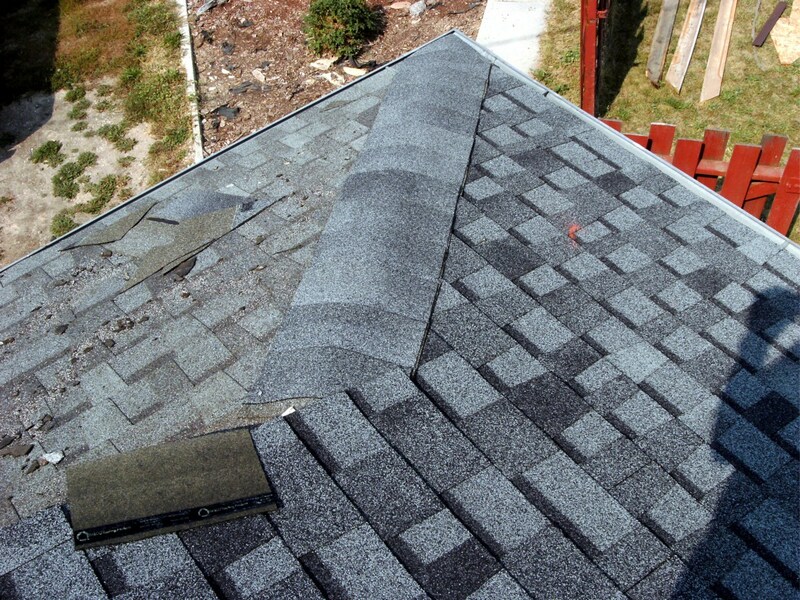 In the example 3 tab shingles were used simply because they were already on the job from another roofing job, but normally ridge shingles would be preferable. If 3 tab shingles are to be used, each one is cut into thirds, giving "shingles" that are about a foot wide and normal height; the same basic size as a ridge shingle. 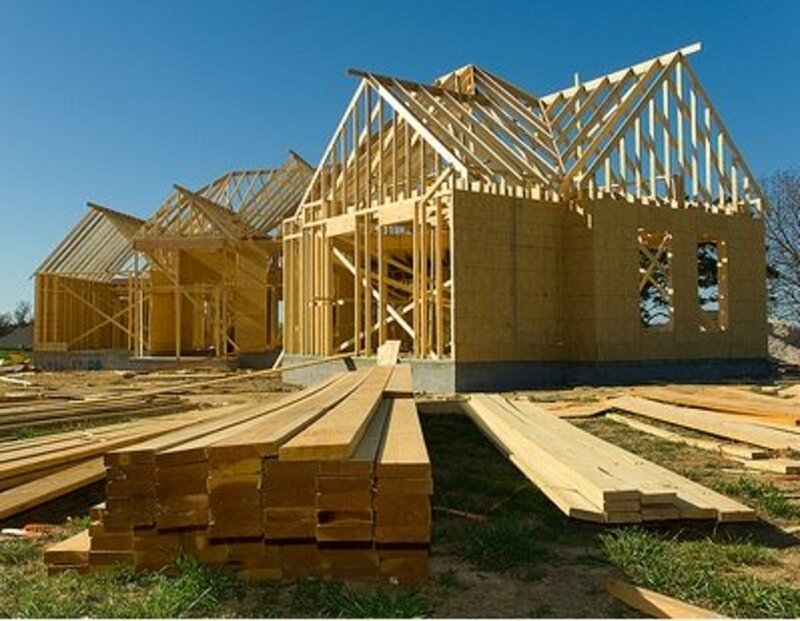 To install ridge shingles, start either at the bottom of the ridge if it is actually a hip or at the end opposite where the prevailing winds come from if it is actually the top ridge of the roof. Bend the narrow shingle over the ridge so that each side is equal and nail the ridge shingle into place with a single nail on each side of the ridge. 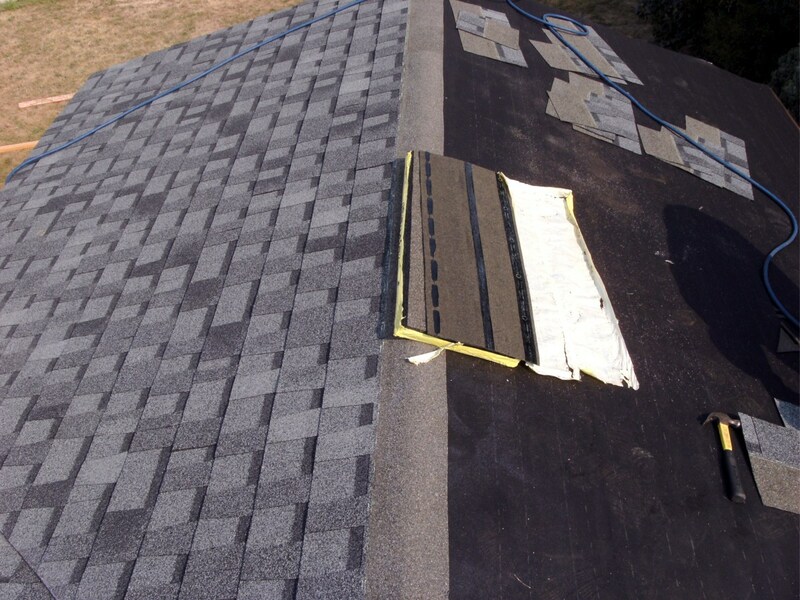 Place the next shingle in the same manner that normal shingles were placed, once more bending it over the ridge and nail into place. Continue to the far end of the ridge. The last ridge shingle will need to be cut to the proper length; just make sure that 100% of visible shingle is from the bottom half. Don't leave any part that would normally be hidden exposed. Congratulations! You have a brand new roof that you did yourself and saved several hundred dollars that can be put into something else. 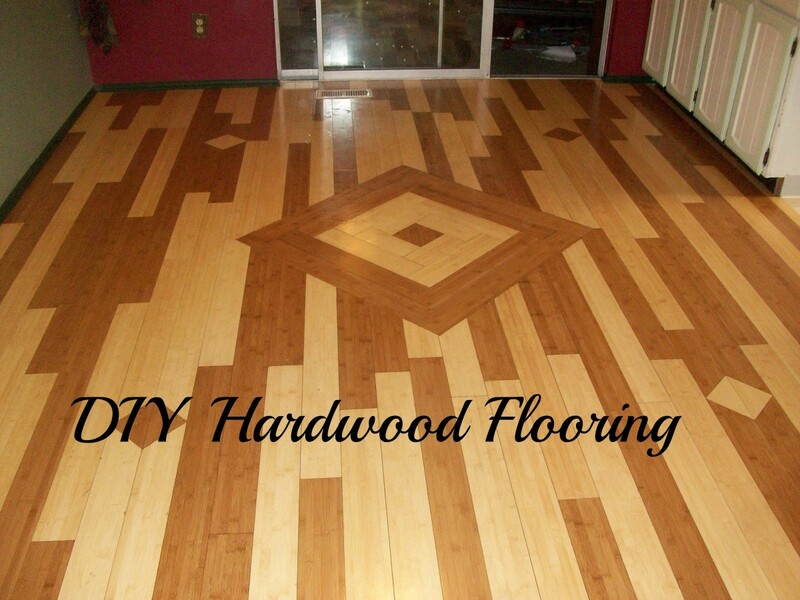 Maybe a new hardwood floor and get rid of that worn carpet. How about a fancy chandelier in the dining room? With the new roof completed what else are you ready to tackle? Are the shingles supposed to hang over the facia 3/8 of an inch? Yes. Hang them over a small amount; 3/8 inch is appropriate. I think you just convinced me to leave this to the pro's. At least i'll have an idea of what's supposed to be done, thanks! Maybe i'll avoid using architectural shingles on my front porch roof, to simplify the job. Wow. I never imagined shingling a roof myself. Your instructions are so clear it almost seems easy. If only roofs weren't so high. These are such great instructions, you're a real pro! @ Cardisa: No, not my feet, but those of my son. He helped enormously as he used to be a roofer and even though this wasn't a huge job his help was very much appreciated. Dad runs the camera; son does the work! Priceless hub, so detailed and helpful every step (or is it tile) of the way. Voting and sharing this one. Pinning too. 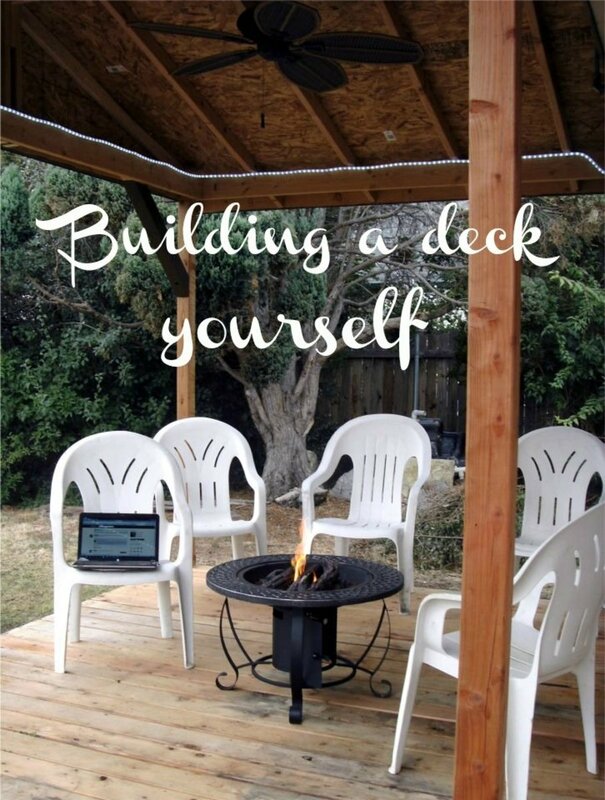 Wilderness, I admire these home improvement hubs so much - great photos and such detailed advice. I wish I could do stuff like this then write a hub about it!. This is awesome. My brother does all the work on our family home and the house I now live in. He is a contractor and he lives next door and the best part is that I get his service free of charge...lol Are those your feet on the roof? My twins did our porch roof last year at this time. Now I need to get them back up there and do the house and garage roof. I suppose it would have been easier to do the entire job all at once. When I did my last house it cost $60 regardless of quantity to have them spread on the rooftop. If you have several tons (not uncommon for a house with an attached garage) it's worth several times that to save packing them all up the ladder. Having the shingles delivered to the roof is a great idea. Never thought of that. Great photos.